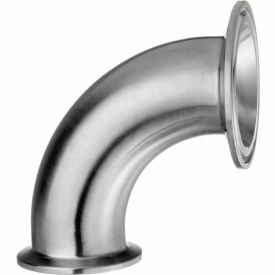 Use these fittings to reduce your process line and connect clamp fittings. Made of corrosion resistant 304 Stainless Steel and highly polished on the interior for smooth finish that reduces the risk of bacteria growth and residue buildup. FOR FLANGE OD (REDUCING END)2.516"